For our next Red Bench discussion, we’ve invited snowsports industry members and athlete advocates to share their thoughts on climate change and the fate of skiing and riding in the future. Panelists include Lindsay Bourgoine, Director, Policy & Advocacy at Protect Our Winters, Hannah Dreissigacker, Sustainability Coordinator at Craftsbury Outdoor Center, Jenn Swain, Global Senior Sustainability Manager at Burton Snowboards, Adam Hostetter, Snowboard Olympian and activist, and Mike Hussey, General Manager at Middlebury Ski Bowl. Adam White, Director of Communications for the Vermont Ski Areas Association/Ski Vermont, will moderate the discussion. Ski and snowboard magazines are stuffed with beautiful images of perfect powder days and epic jumps. Getting those images is a lot harder than you think. Find out just what it takes to make the magic happen with our Pro Photo Red Bench Speakers panel. Join photographers Shem Roose, Ashley Rosemeyer, Nathanael Asaro, moderator Dave Schmidt and others for a behind the scenes look at the world of professional photography in winter and outdoor sports. Produced by Warren Miller Entertainment in partnership with the Colorado Ski and Snowboard Museum, Climb To Glory tells the story of the 10th Mountain Division Ski Troopers and how they championed the U.S. Ski Industry following World War II. The Mountain Division came into existence on July 13, 1943 at an Army base in the Colorado Rockies known as “Camp Hale”. The Division trained at 9,200 feet above sea level and honed their skills to fight and survive under the most brutal mountain conditions. After participating in a major turning point in the War, these heroes returned home from Italy as pioneering individuals and helped expand skiing into a lifestyle sport with ski resort development, product innovation, instruction and everything in between. Narrated by Olympian and future Colorado Ski & Snowboard Hall of Fame inductee Jeremy Bloom and inspired by Warren Miller Athlete Chris Anthony, Climb to Glory highlights the 10th Mountain Division Vets’ astounding impact on our country and the ski industry while incorporating the fun and flair of Warren Miller films. There will be two showings 5:30 and 7pm. Each ticket includes popcorn and a raffle ticket. Join athletes and representatives from Vermont's adaptive sports communities for a discussion about their commitments to making active lifestyles a reality for those with disabilities as part of the Vermont Ski and Snowboard Museum's monthly Red Bench series, on Thursday, January 24, 2019 at 6:30pm. Be inspired by stories of those Vermonters who have overcome disabilities, and those who are making this all happen by empowering people with disabilities to develop independence and well-being and providing them with opportunities to enjoy skiing and snowboarding in Vermont. Learn about advances in adaptive snow sports instruction, and equipment and training for adaptive coaches. For decades, the Red Bench drew skiers together around the fireplace in the Octagon at the top of Mount Mansfield. The tradition continues today with the Red Bench Speaker's Series that focuses on topics currently relevant to skiing and snowboarding. Doors to the museum open at 6pm. Lively discussions begin at 6:30pm. Beverages available. Entrance donation $10 helps support the museum. Thank you to our Red Bench Sponsors: Sisler Builders, Collective Arts Brewing, and VT Ski + Ride. Mount Mansfield Ski Patrol, the oldest ski patrol in the United States, celebrates 84 years of service this year. 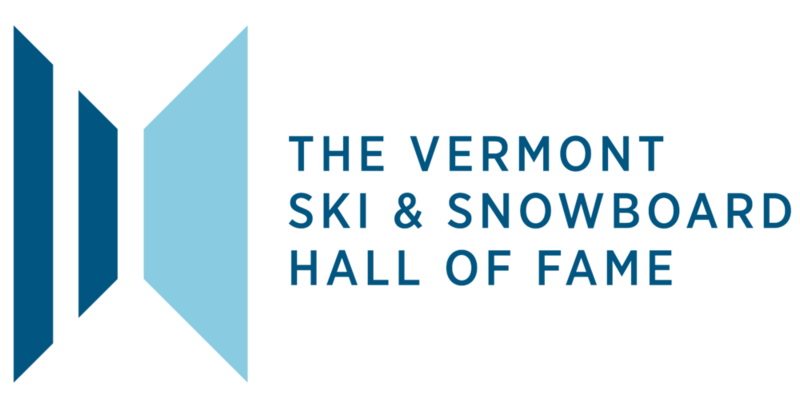 Join Mount Mansfield ski patroller and historian Brian Lindner for a history lesson about the MMSP, followed by a panel discussion with former Director Bill Westermann, current member Dave Flagg who is the longest serving member at 54 years, current MMSP Director Karen Wagner, former patrolman Denny Bender and others. Doors to the Museum open at 6:00, discussion begins at 6:30. $10 entrance donation. Thank you to our Red Bench Sponsors: Sisler Builders, Collective Arts Brewing, and VT Ski + Ride. Join us for an interactive conversation about Vermont huts, past, present and future! Learn about exciting plans for a new hut system in Vermont and hear about the history of some of Vermont's most beloved backcountry huts, from Stowe's Stone Hut to Bolton's cabins, to hidden huts around the state. Panelists will include Craig Whipple of Vermont State Parks, Mike Debonis, executive director of the Green Mountain Club, Adam DesLauriers of Bolton Valley, and R.J. Thompson from Vermont Huts Association. Hear what they have to say, ask questions and enjoy beverages from our series sponsor Collective Arts Brewing. Thanks to them and also to series sponsors Sisler Builders and Vermont Ski + Ride. Moderated by Lisa Lynn, editor of Vermont Sports and Vermont Ski + Ride Magazines. Join us for our Annual Meeting as we celebrate the Museum's 30th Anniversary! Refreshments and a birthday cake will be served. We'll also be having a special showing of the 1983 Joe Jay Jalbert film "Rivals: Anatomy of the Downhill" which covers the 82-83 World Cup downhill season where the winner was not crowned until the last race - come find out who won! The film is recognized as one of the top 100 snowsports films.